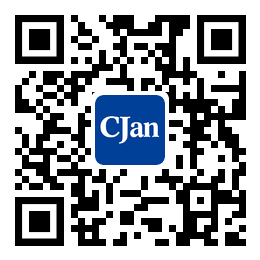 ﻿ The Classification of Polypropylene Tubing - CJan Fluid Technology Co., Ltd. There are three kinds of polypropylene tubings:homopolymerization polypropylene (PP - H), block copolymer polypropylene (PP - B) and random polypropylene (PP - R). Among these three kinds of PP tubings, the order of the impact resistance is PP-R > PP-B > PP-H, the order of deformation temperature is PP-H > PP-B > PP-R, the order of tubing rigidity is PP-H > PP-B > PP-R, the order of the blasting temperature at normal temperature is PP-H > PP-B > PP-R, the order of chemical corrosion resistance is PP-H > PP-B > PP-R. Compared with other PP tubings, PP- R pipe has the advantages of improving the low temperature brittleness of PP-H, and has good resistance to long-term pressure ability at a higher temperature (60 DEG C), especially for the making of the hot water tubing , as the long-term strength , it is better than PP - H and PP - B. The classification of PP polypropylene tubings like PPH, PPR and PPB: the materials special for PP tubings , according to the molecular structure of different forms, can be divided into homogeneous polypropylene (PPH) , block copolymer polypropylene (PPB) and random copolymer polypropylene (PPR). 1. By means of nuclear magnetic resonance analysis, PPB, we can get mass ratio of monomer to material and different sequences which can determine these three kinds of polypropylene PP tubings special material, PPB, PPH and PPR. The monomer mass ratio (P:E) of PPR is about 96:4 ~ 97:3, and the content of EE and EEE is comparatively low. 2. The microstructure of the materials can be clearly observed by transmission electron microscopy. PPR and PPB, PE or rubber modified PPH can be distinguished clearly. PPR has homogeneous structure, while PPB, PE or rubber modified PPH have obvious island structure. 3. PPR and other polypropylene materials can be distinguished by DSC analysis. The melting point of PPR usually ranges from 140 to 145, while the melting points of other polypropylene are much higher than that of PPR. 4. PPR, PPB and PPH can be identified by the measurement of crystallinity. The PPR material has the lowest crystallinity. 5. Through the determination of macro physical and mechanical properties, PPR, PPB and PPH can also be identified. Generally, PPR material has lower tensile strength, flexural modulus and softening temperature of VEKA.